You Never Know If It'll Rain But If It Does, Your Tent Will Protect You. 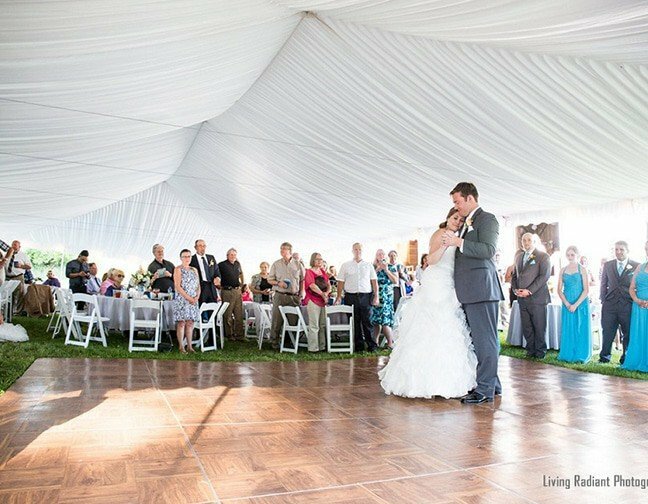 We have the perfect variety of wedding quality tents for your big day. This is what we specialize in and we’re highly rated on how white our tents are. It doesn’t stop at quality. We have a huge variety of sizes too. Whether you’re planning a small or big wedding, we will have the correct size to fit your needs. There are a numerous types of parties that we provide tents for. 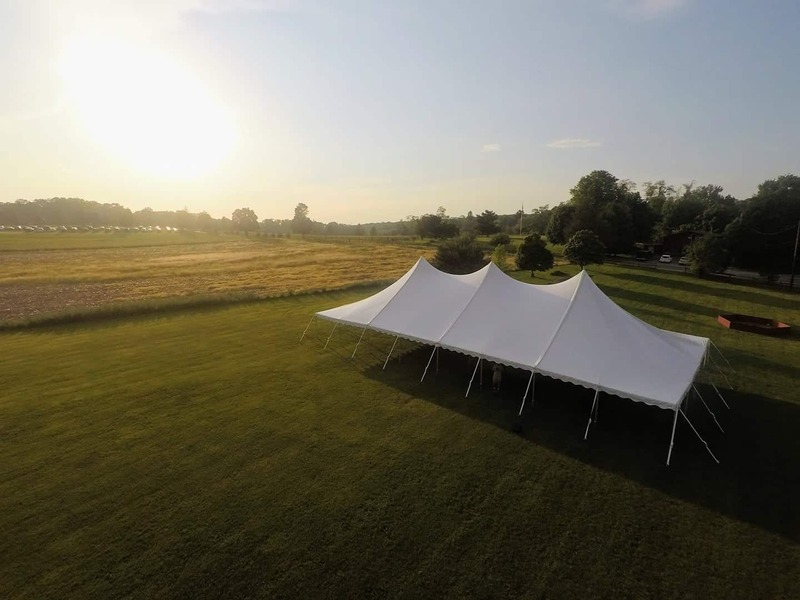 Our goal is to make sure we install fast and make sure our party tents are clean for your event. Our clients love renting tents for their parties because it provides shade and protection from rain for their events. 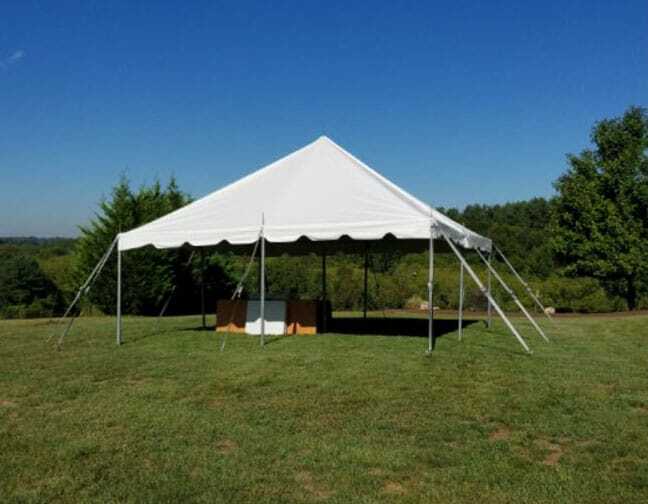 Our party tents go great with our other party rentals. We run a lot of specials with our party tent rentals. We work very hard to pull off incredible company events. We work with small businesses AND large corporations. 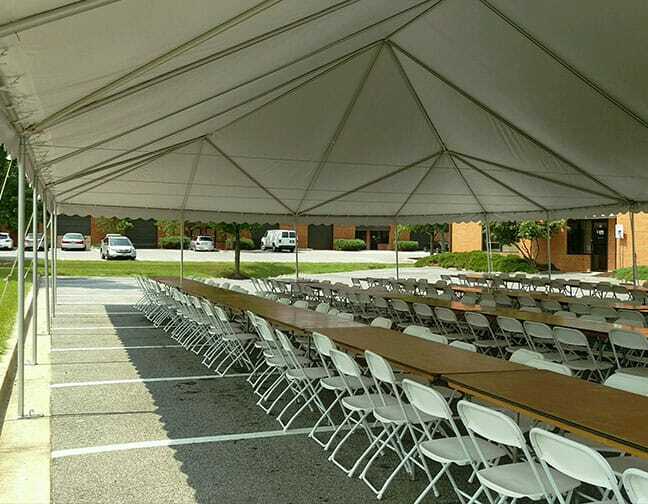 We provide tents for holiday parties, company meetings, fundraisers and so much more. Our corporate tents can be installed on both grass and asphalt. These tents come in a variety of sizes and styles. 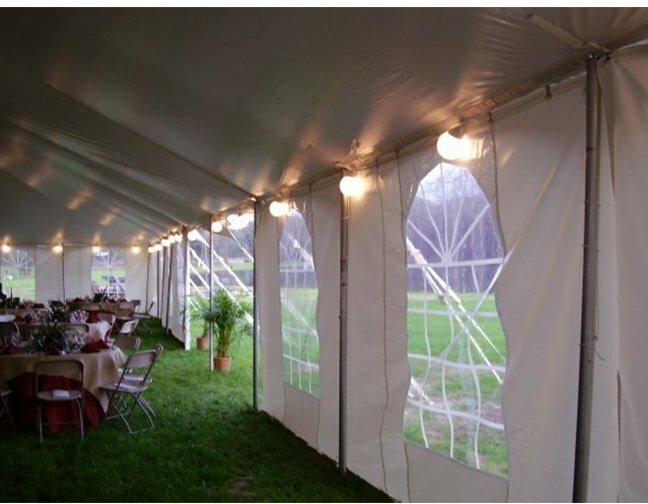 You can rent "sidewalls" which turn your tent into an enclosed/protected tent that helps keep your guests dry. Sidewalls are also great to prevent wind. PS: In colder weather, sidewalls are great for holding heat inside the tent. You can add lights to the perimeter of the tent OR add lights in the top of the tent for an amazing/unique look. Not only does lighting add style to your tent but it allows you to party all night long without worrying about it getting dark. 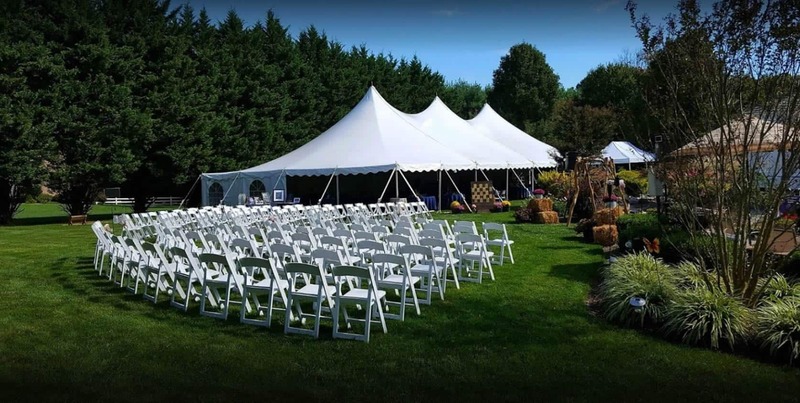 If you want an event that will turn heads... you can add tent liner or tent drapery which will turn your plain white tent into something GORGEOUS. Were you concerned about heat or cold? No worries, we rent heaters, fans and if needed we even rent A/C units. It's something most clients don't think about but you can gain FULL control of your tents temperature to ensure everyone stays comfortable. It is very easy to reserve your tent rental. Simply request a quote. If you want to reserve your tent you’ll sign our rental agreement and place a 25% deposit to complete the reservation. Difference Between Pole Tents And Frame Tents? Watch this quick video to help you decide if you need a pole tent or frame tent for your event. Once you have a better understanding, you can get a quote for your event with the button below.